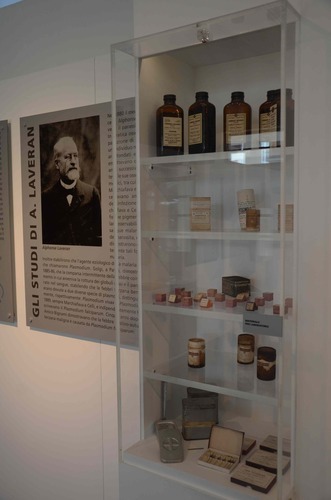 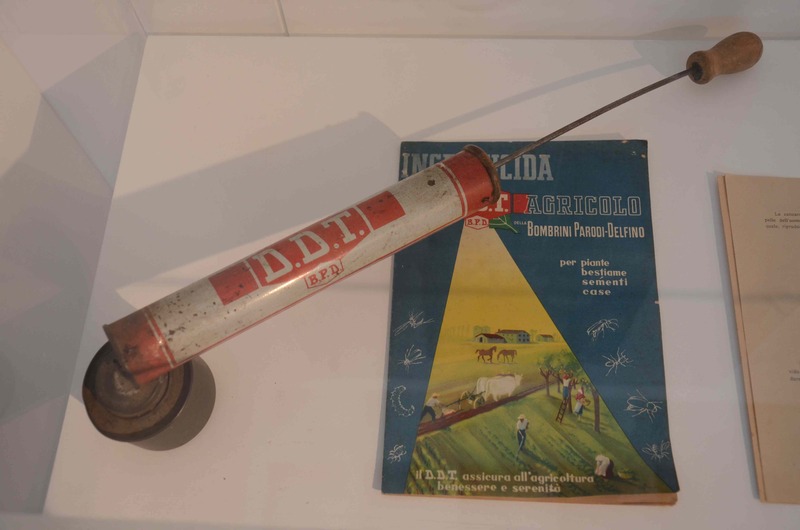 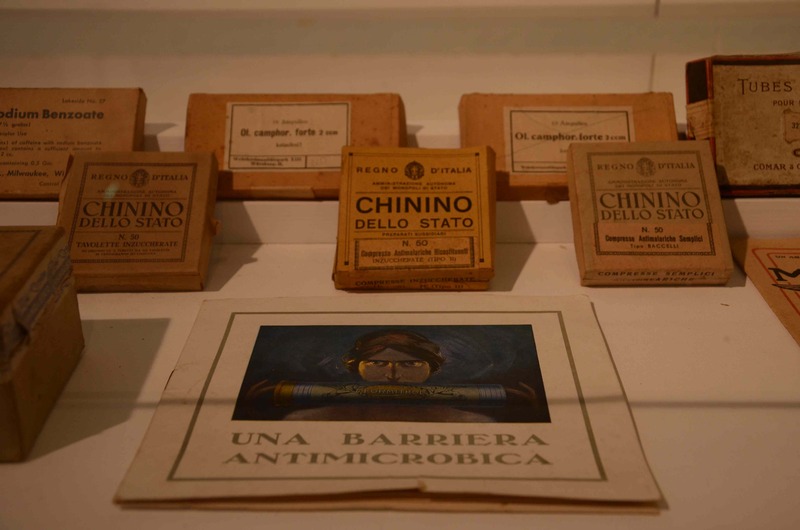 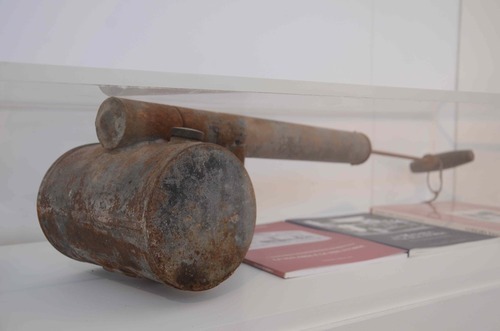 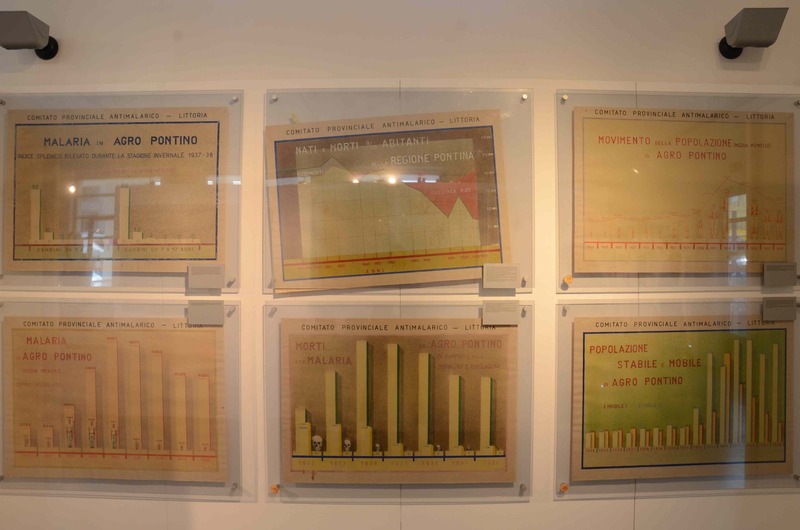 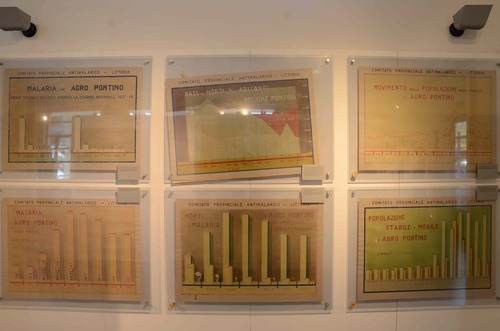 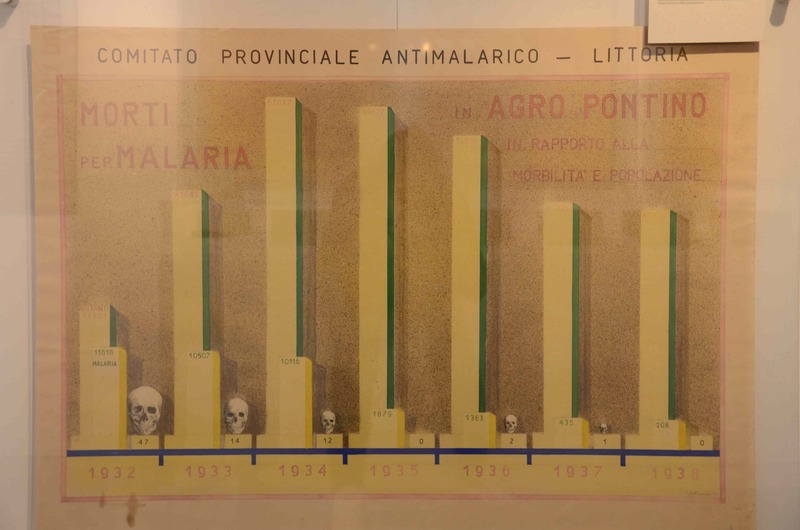 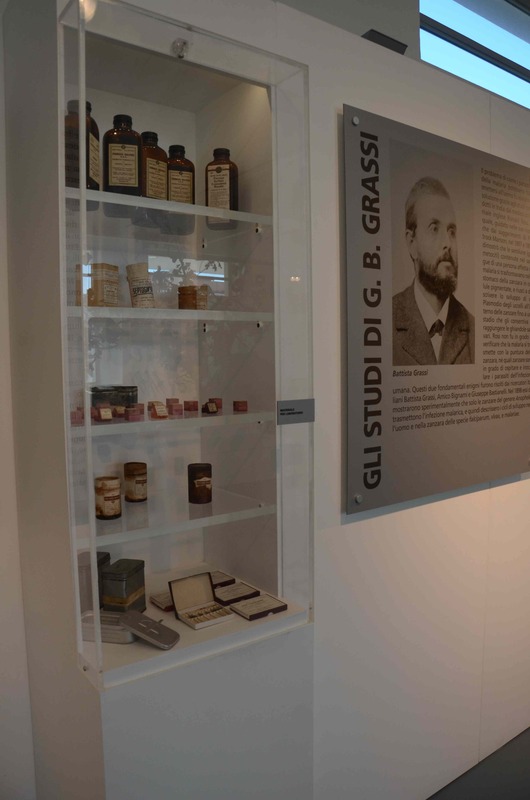 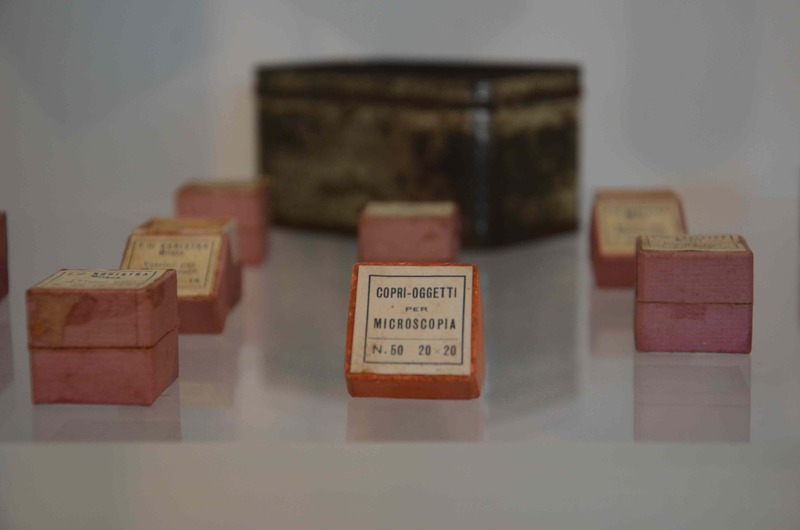 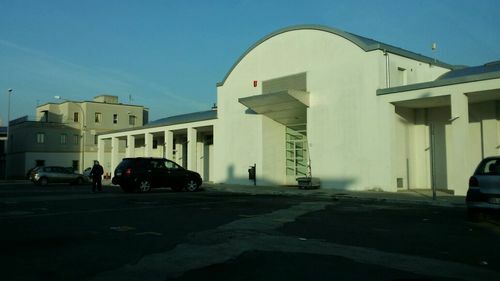 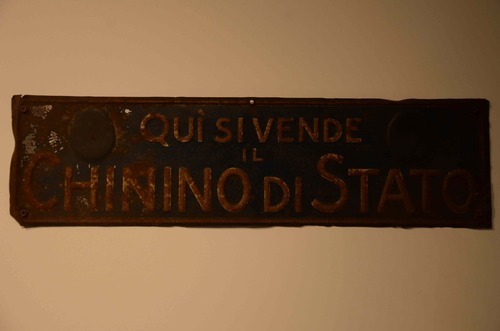 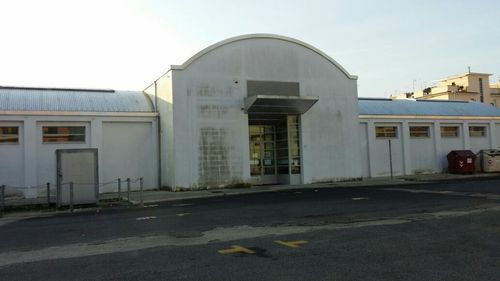 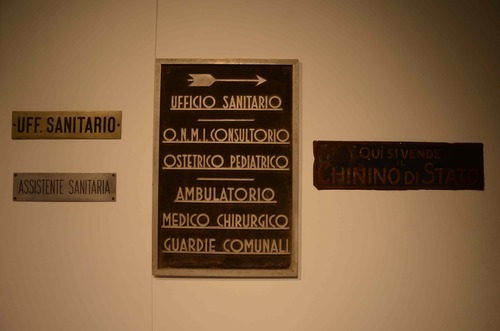 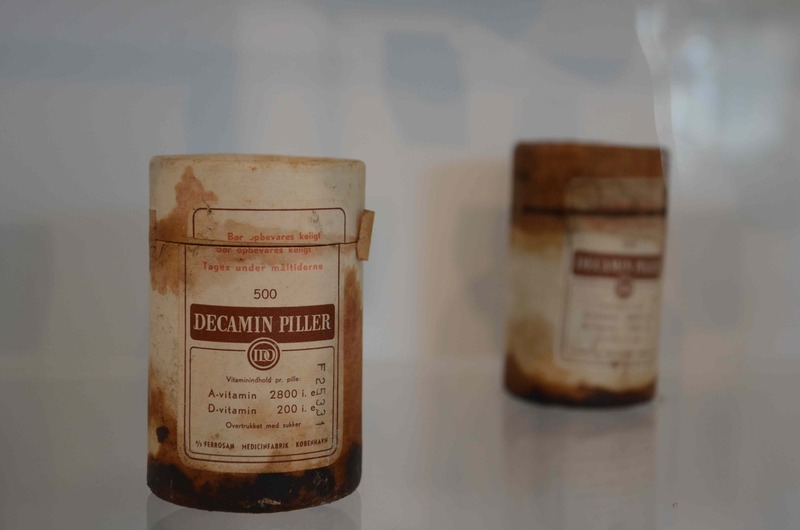 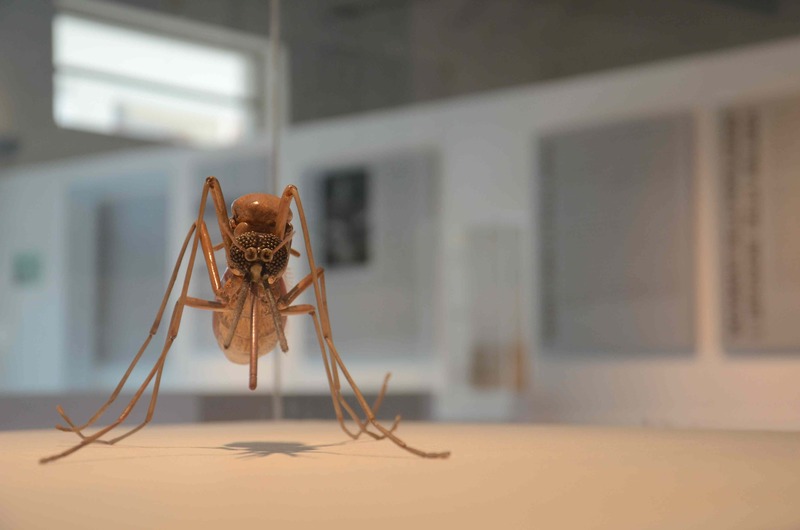 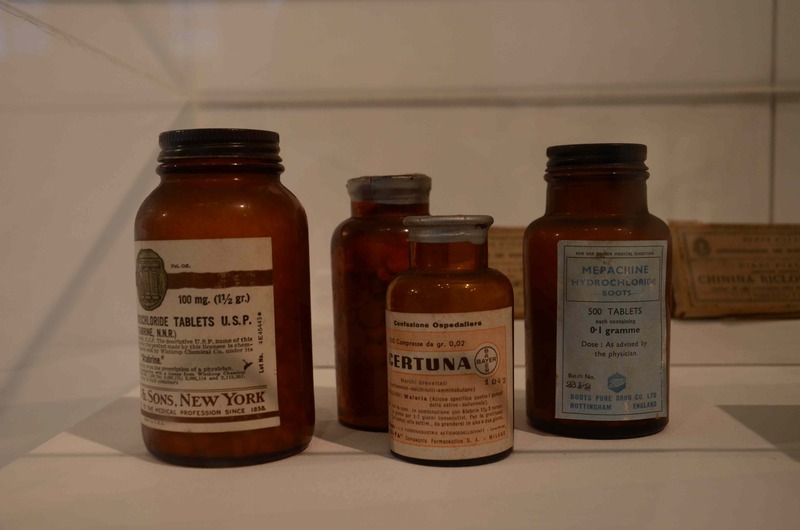 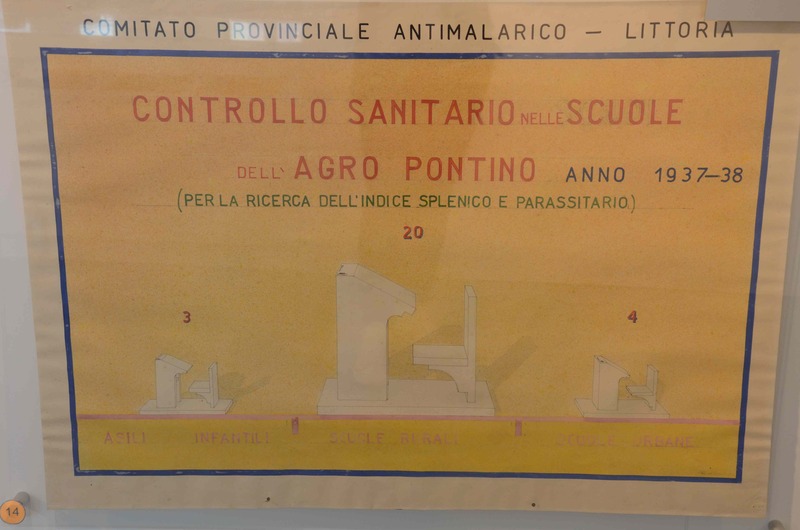 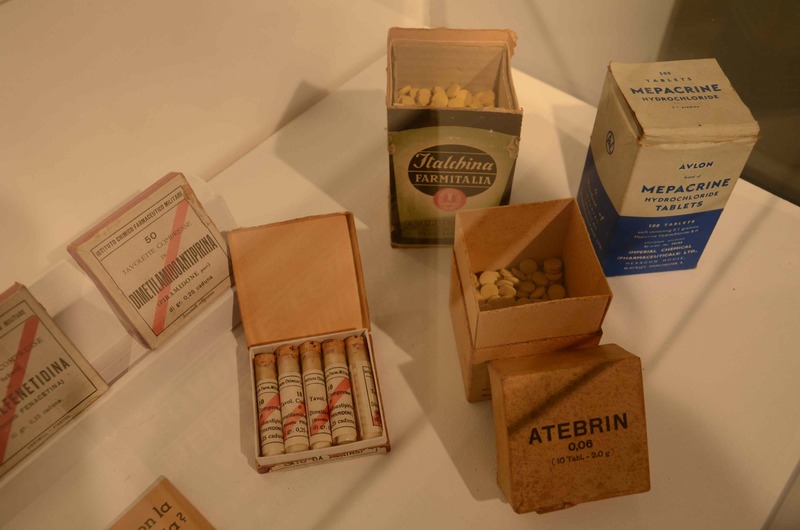 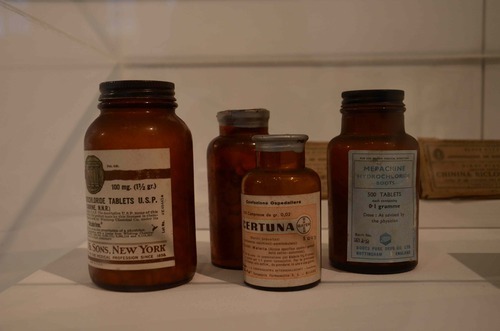 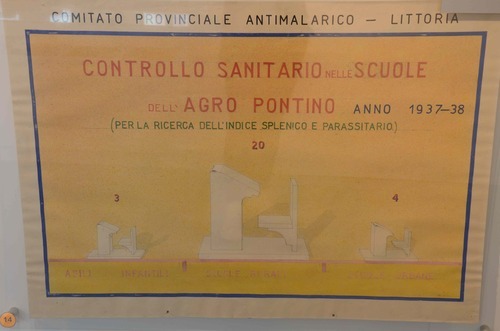 The collection held in the Museum is made up of the greatest evidences of the sanitary struggle against malaria, fought between the 1930s and the 1940s by people who lived in the Pontine Marshes. 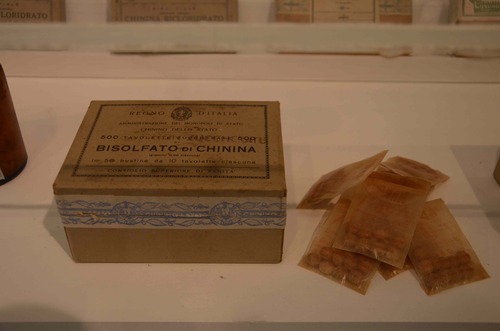 The quinin was given orally as salt obtained through the reaction between quinin and acids; an examples is the "Bisolfato di chinina" shown in the following picture. 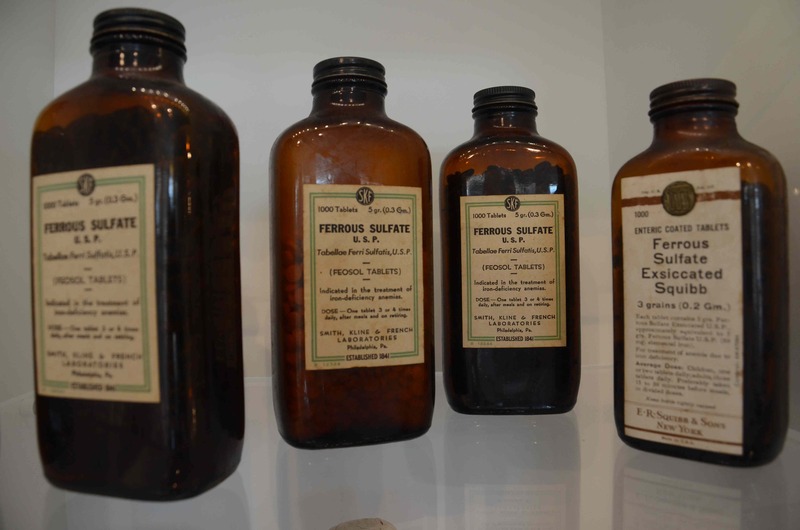 Also used together with the quinin there were arsenic and iron in their chemical compounds. 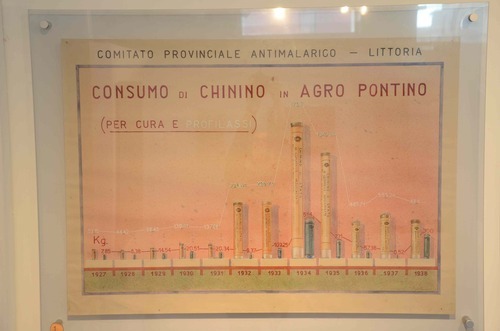 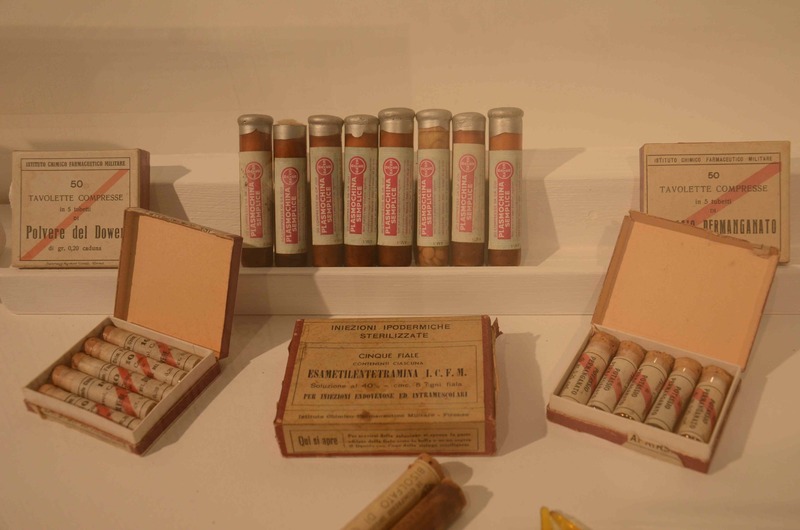 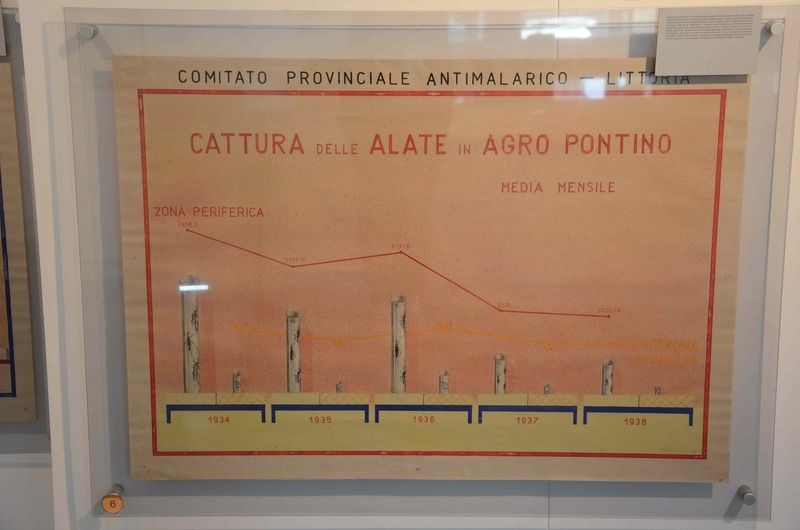 The following two pictures show the amount of quinin used for treatments and preventiveness in the Pontine Marshes from 1930 to 1938. 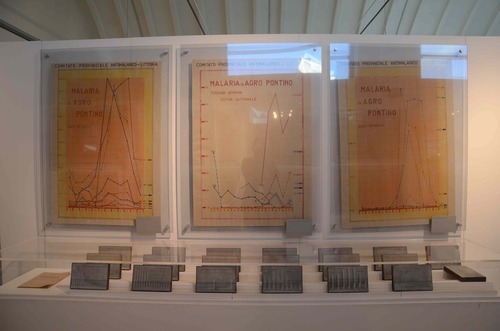 The decrement seen during the last three years is related to the decline of signs of the previous endemic. 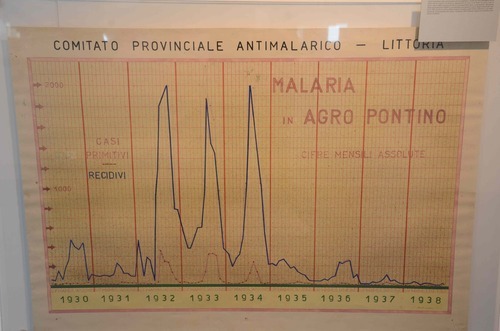 Here there are the dates on the morbidity caused by malaria in the Pontine Marshes. 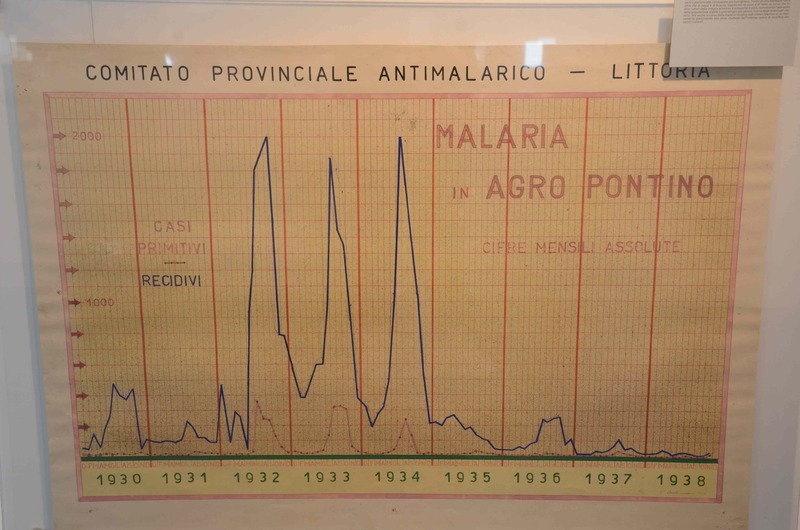 It is not a case that the decline of the sick rate for this illness, from the 82,28% in 1932 to the 0,47% in 1938, is coeval with the drainage of the marsh. The graphic shows the results of the epidemic campaign in 1937-38, during which 2158 people were examinated and the largest part of them still attended school. 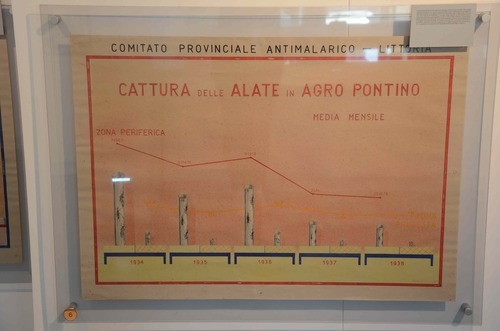 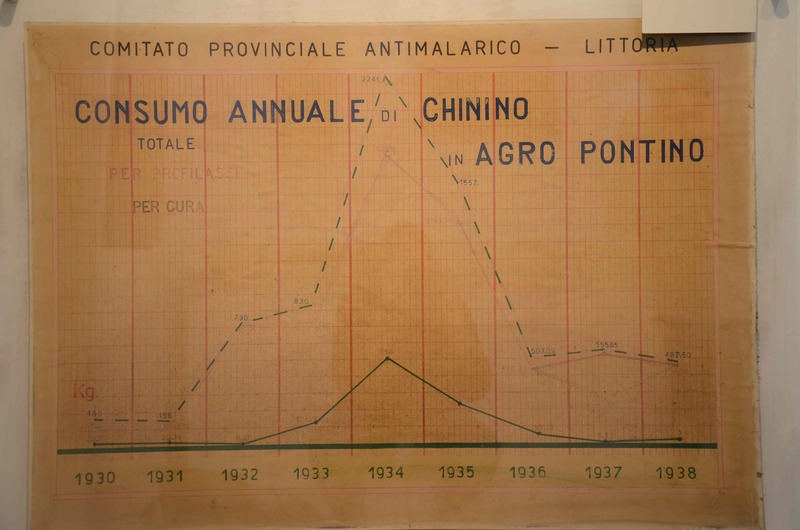 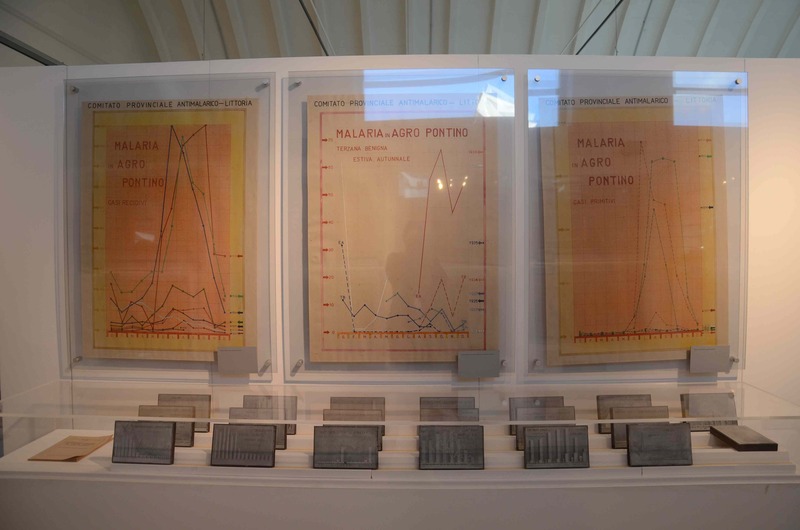 The chart explains the decrease of the mosquitos between 1934 and 1938 both in rural and external ares of the Pontine Marshes. 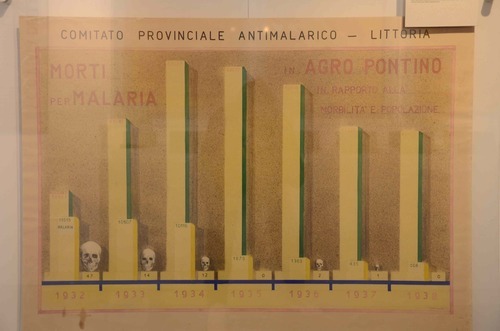 Through the graphic it can be considered the death rate from 1932 to 1938 and it can be seen how it vanished at the end. 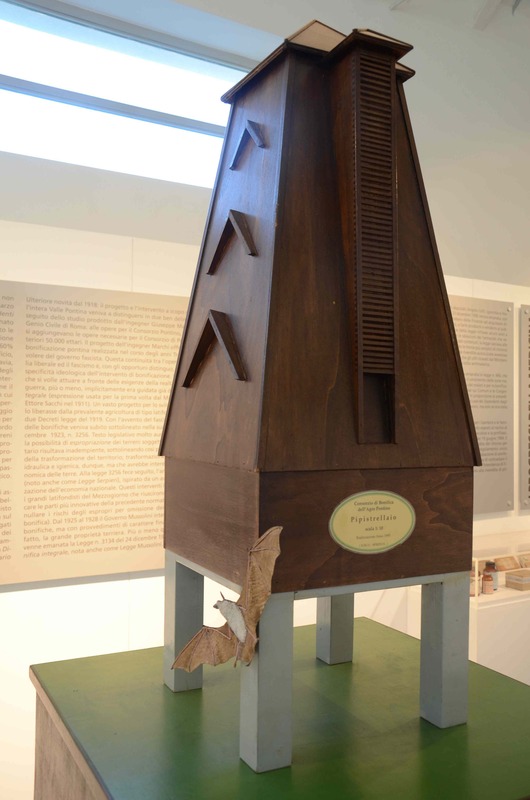 The bats, feeding on insects, were used to struggle against the mosquitos so some special structures, as shown in the picture, were built in order to allow them to hide in during the day.They can be found in Nettuno, Terracina and San Felice Circeo. 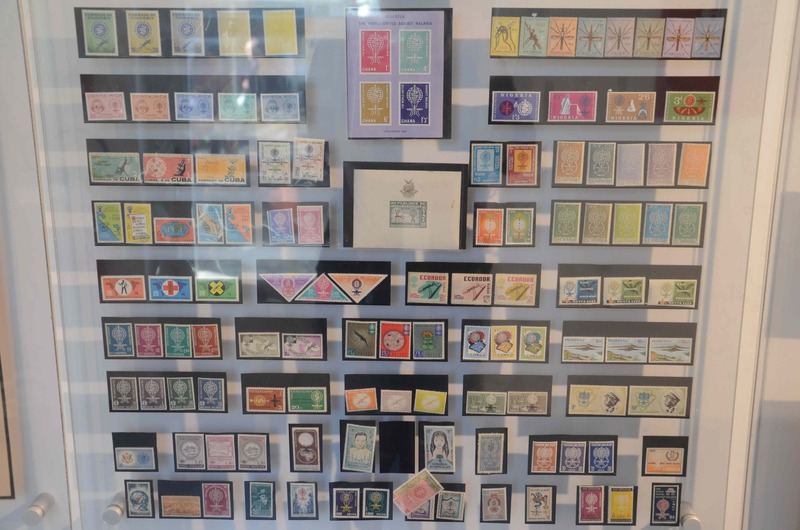 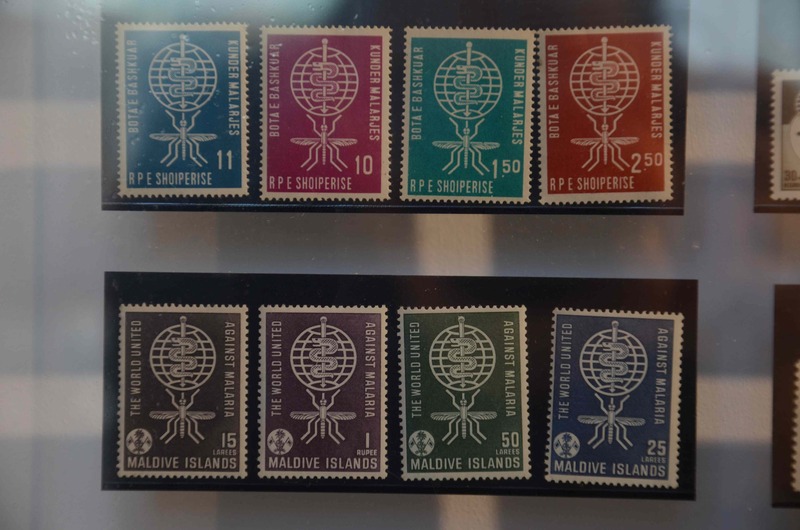 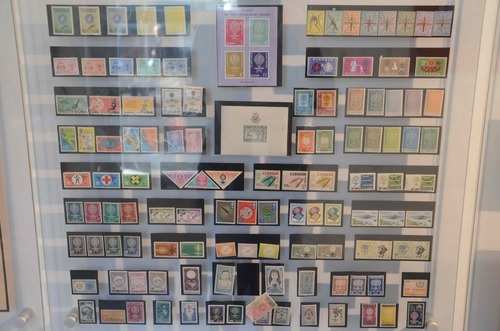 Considering the malaria global impact, lots of stamps concerning the epidemic were and still are delivered worldwide.